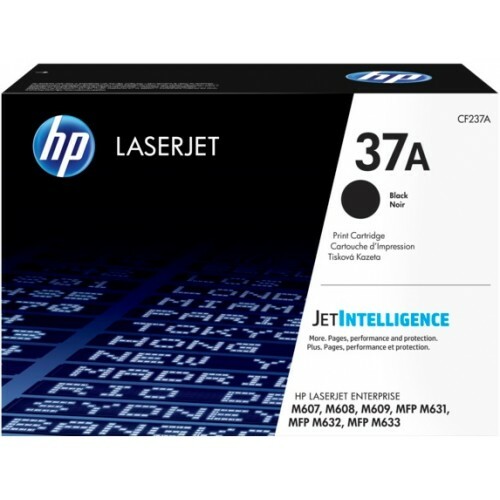 HP 37A is a Original HP Toner cartridges with JetIntelligence to deliver approximate 11,000 pages at fast speeds with innovative anti-fraud technology for ensuring consistency. This LaserJet Toner has page maximizer technology for delivering high page rates to fit into your affordability. Its print gauge technology can track toner ink levels to provide better efficiency. Print with this original HP high yield toner cartridges without sacrificing quality available at best price in Dhaka, Chattagram, Khulna, Rangpur & Sylhet. Order online to purchase and have the delivery all over Bangladesh.